Rebecca Coleman has been a freelance theatre publicist since 2001, working for companies like Touchstone, Ruby Slippers Theatre, Capilano University’s Theatre Department, Presentation House, Radix and Leaky Heaven Circus. An actor, writer and producer, she is also very passionate about helping artists to be better businesspeople. Over the last year, she has become increasingly interested in using social media networking to market the arts, and writes about the subject frequently on her blog, The Art of the Business. 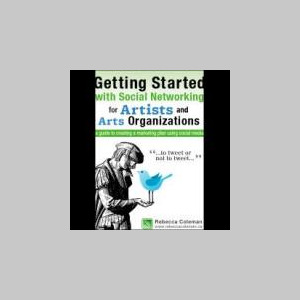 She has also written a guide called Getting Started in Social Media, which helps newbies to create a marketing plan using social networking as a tool. Rebecca is on a continual search for the elusive work-life balance between her business and her five-year-old son, Michael.